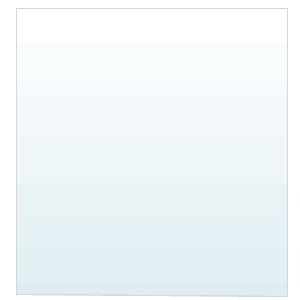 See : Elaeoselinum thapsioides (Desf.) 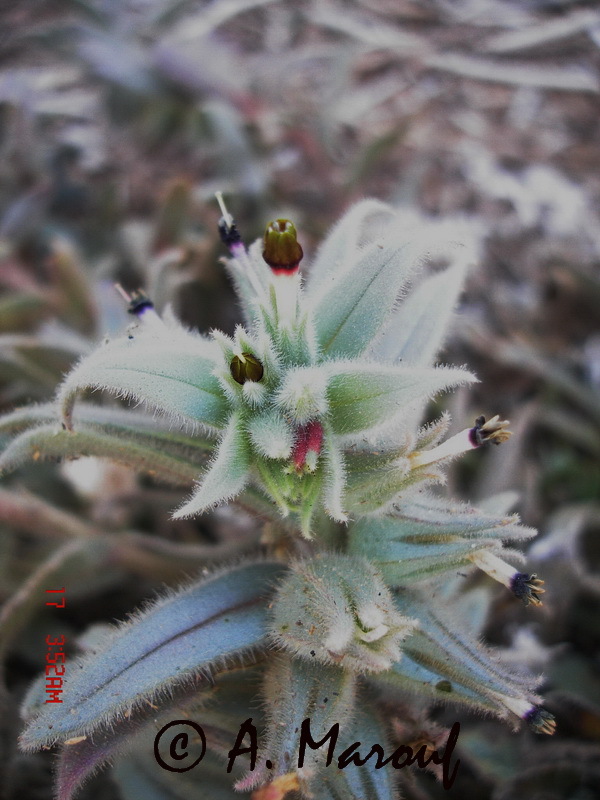 M.
Species :Elaeoselinum thapsioides (Desf.) M.
Species :Elichrysum caespitosum B. et T.
Species :Elichrysum decumbens Batt. 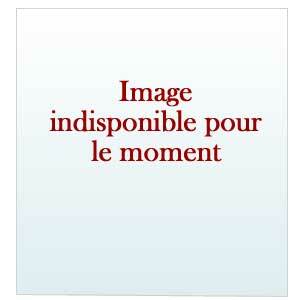 non Camb. 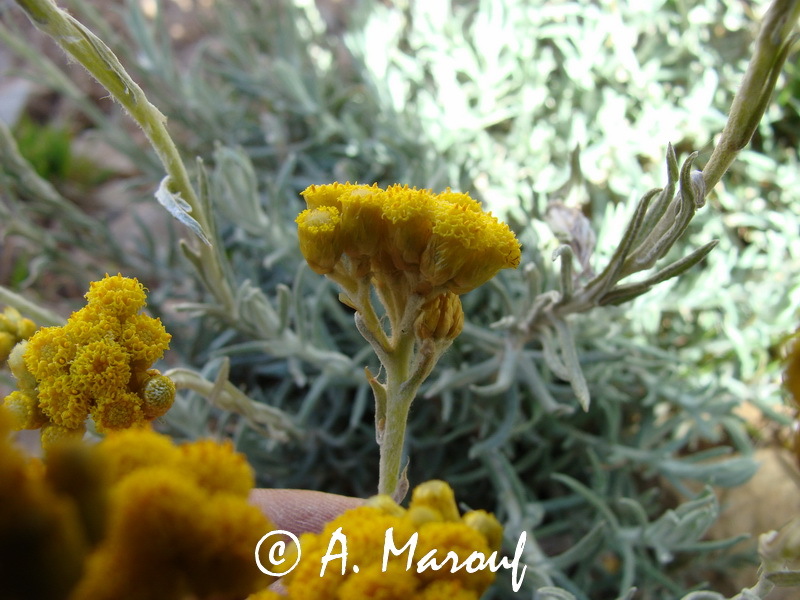 Synonym:Helichrysum angustifolium M. var. numidicum Pomel, H. stoechas (L.) DC. ssp. numidicum Batt., H. angustifolium (DC.) M., Gnaphalium italicum Roth. Species :Elichrysum lacteum Coss. et Dur. var. typicum M.
Species :Elichrysum stoechas (L.) DC. 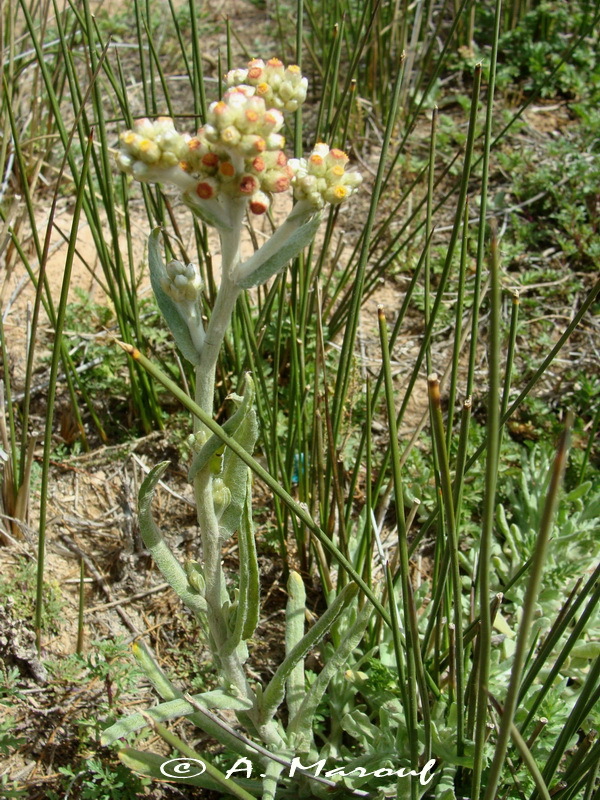 Species :Elichrysum stoechas (L.) DC. ssp. rupestre (Raf.) M.
Synonym:Helichrysum fontanesii Camb., H. rupestre Raf., Gnaphalium stoechas Poiret non L.
Species :Elichrysum stoechas (L.) DC. ssp. scandens (Sieb.) 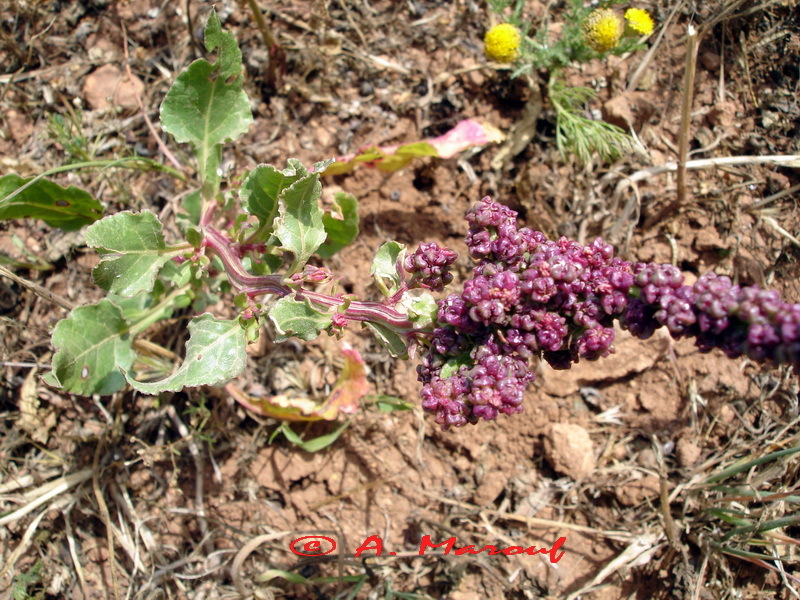 Q. et S.
Synonym :Gnaphalium scandens Sieb., Helichrysum caespitosum B. et T., H. rupicolum (Pomel) M., H. decumbens Batt. non Camb., H. stoechas ssp. rupiculum (Pomel) M.
Synonym :Echioides violacea Desf., Massartina violacea, Nonnea violacea Desf. Species :Elymus caput-medusae L. ssp. crinitus (Schreb.) Asch. et gr. Synonym:Hordeum caput-medusa (L.) Coss. et Dur. Synonym:Agropyron repens (L.) P. Beauv., Elymus repens (L.) Gould. Species :Emex spinosa (L.) Campd. See : Eremophyton chevallieri (Bar.) Beg. Species :Enarthrocarpus lyratus (Forsk.) DC. See : Scilla hispanica Mill. var. 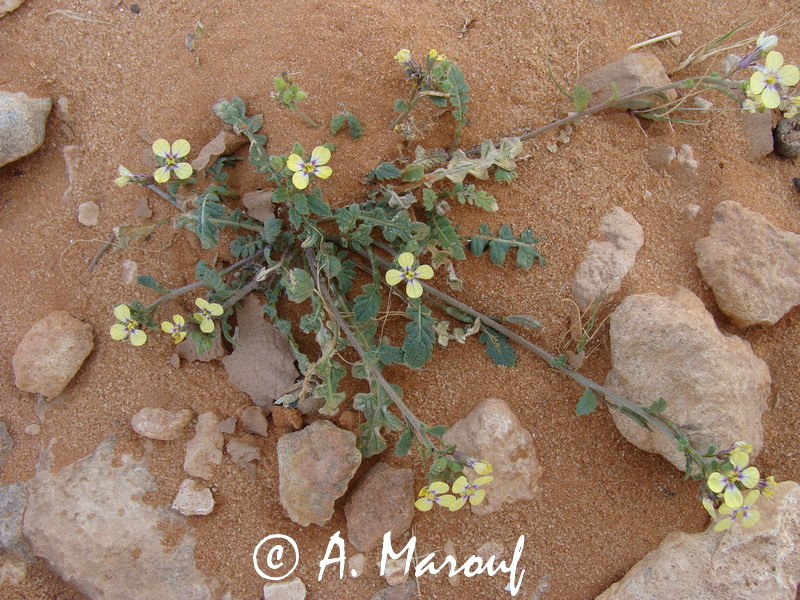 algeriensis (Batt.) M.
Species :Enneapogon brachystachyum (Jaub. et Sp.) Stapf. Synonym:Pappophorum brachystachyum Jaub. et Spach., P. jaminianum Coss. et Dur., P. phleoides Trin. 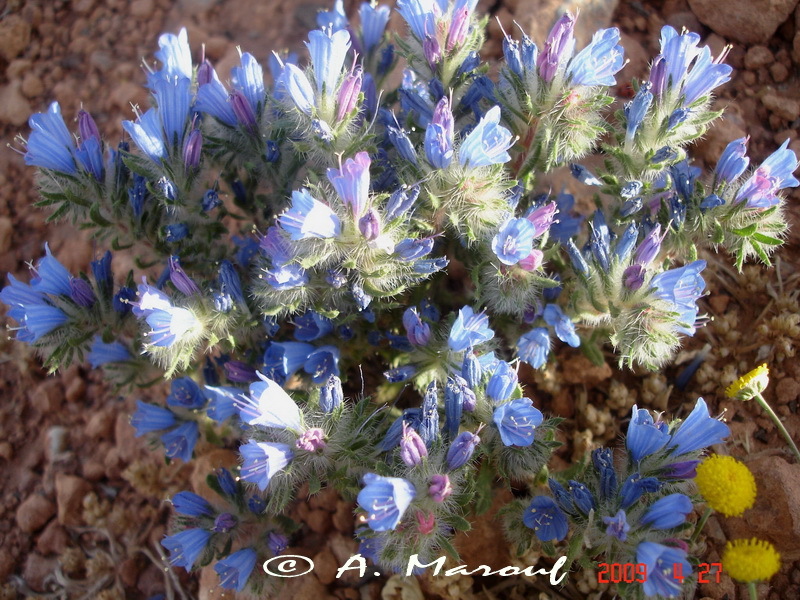 Species :Enneapogon glumosus (Hochst) M. et W.